Over the course of history, a number of key tools have helped people mould their environments in ways that suit them and make their lives easier. In the last hundred-odd years, one such behind-the-scenes helper has been the motor grader – the heavy machinery used to flatten surfaces and so help in construction, road maintenance, mining, agriculture and more. 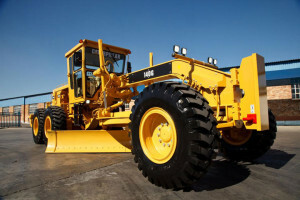 The most successful maker and marketer of motor graders around the world is Caterpillar, the company said to be responsible for about 40% of motor grader sales each year. The earliest graders took the form of a simple steel frame with a blade, drawn by horse or oxen. With industrialisation in the early 20th century, graders more often took the form of converted farm tractors. Initially a manufacturer of tractors, Caterpillar first became associated with the grader back in 1920, when the Minnesota-based Russell Grader Company launched its “Motor Patrol”, the first self-propelled grader. This machine was made up of a grader frame built around a Caterpillar crawler tractor. In 1928, just as the “Roaring Twenties” were coming to a close, the Caterpillar Tractor Co. saw an opportunity and acquired the Russell Grader Company. So in addition to producing tractors, Caterpillar started developing motor graders. In 1931, the first true rubber-tyred motor grader, the “Auto patrol”, was launched. 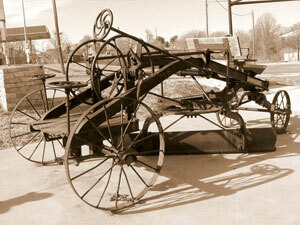 Unlike previous designs, this was a dedicated grading machine – not a grader frame fitted to a tractor. Renamed the “No. 9 Auto Patrol” later that year, it became the prototype for all earth-moving motor graders. Over the next few years, several new models were released. These included 1938’s diesel-fed “No 12 Auto Patrol”, which became the longest-running in the series. Amazingly, this grader is still produced today. In the late 1920s and during the 1930s, the power controls in motor graders were largely mechanical. It was a few decades before the use of hydraulics became more commonplace. The post-World War II development boom saw the demand for graders grow, specifically in the mining sector. Grader designs were improved, and these machines went on to be used in the construction of superhighways. In the 1960s, Caterpillar introduced the “No 16 Motor Grader”, the first of its really large graders. Exactly a decade later, in 1973, this model was replaced with the 16G, featuring hydraulic controls and an articulating body. Through the 1970s and 1980s, Caterpillar graders remained as popular as ever. 1995 saw the launch of the H series of turbocharged graders, offering the first all-wheel drive machines. Around this time, Caterpillar recognised a need for larger graders, for maintaining haul roads used by heavy-duty trucks. So in 1996, the 24H, Cat’s largest grader to date, was put on the market. The H Series is still the company’s best-selling line of graders. One issue that continued to affect graders was comparative difficulty in operating them. In 2007, Cat addressed this by introducing a revolutionary joystick control in the M series of graders. Compared to the traditional levers, the joystick reduced hand and wrist action by 78%, improving driver comfort and control (and therefore also improving the machine’s performance). Without a doubt, this was the biggest development in motor graders in decades. Mining industry demands saw Caterpillar build a new, state-of-the-art production facility in Arkansas, US, in 2010. Today Caterpillar continues to produce and develop motor graders at locations around the globe.